Savvy Spending: Father's Day: "All About My Dad" free printable for your kids to fill in the blanks! Plus "All About My Grandpa" printable! 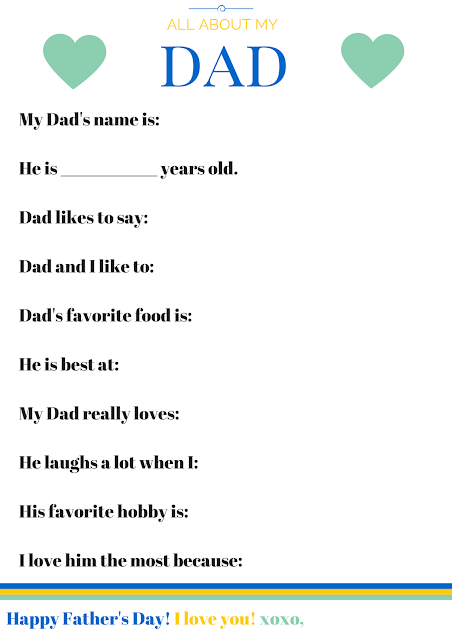 Father's Day: "All About My Dad" free printable for your kids to fill in the blanks! Plus "All About My Grandpa" printable! Reminder: Father's Day is Sunday! I hope you enjoyed the Free Mother's Day Printables and were able to have your kiddos fill them in for Mom and Grandma! I've created a similar one for Dad's and Grandpa's for Father's Day! Father's Day will be here in just a few days! Go HERE to print the "All about my Dad" free printable. 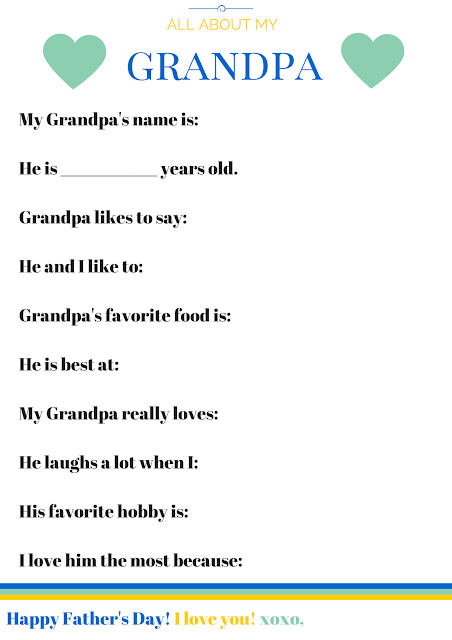 Go HERE to print the "All about my Grandpa" free printable.